Shoppers Voice members check your emails! 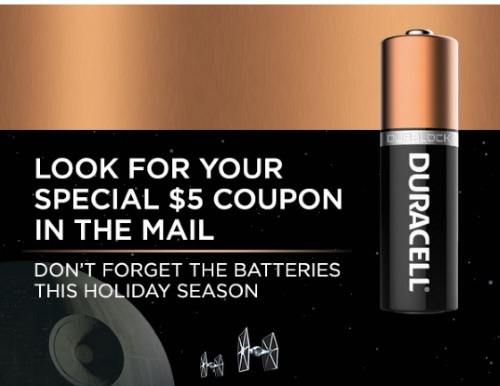 I got an offer for a $5 off coupon for Duracell batteries! The coupon is coming to you in your mail, no need to do anything. The coupon is valid on $5 off when you buy any Duracell AA or AAA battery pack (8 pack or larger) in Canada. Coupon is valid from December 1, 2016 to February 28 2017. Not a Shoppers voice member yet? Click here to do their survey to get coupons/free sample offers.